For starters, we want to provide an opportunity for anyone from around the world to be a part of recovering history. But what makes us even more unique is our collaboration approach to work with governments. PO8 has been working closely with the Maritime Affairs and Labour Department from the Ministry of the Commonwealth of the Bahamas and has recently acquired an Abandoned Shipwreck salvage license. The acquisition of this license is a major milestone, considering licenses have not been issued for the last 18 years. The procurement of the license illustrates the dedication of the PO8 team to preserving the past and the Bahamas’ vote of confidence in PO8’s mission. In the event we do not recover any treasures, we will have built a blockchain ecosystem available for many other archaeological endeavors worldwide. 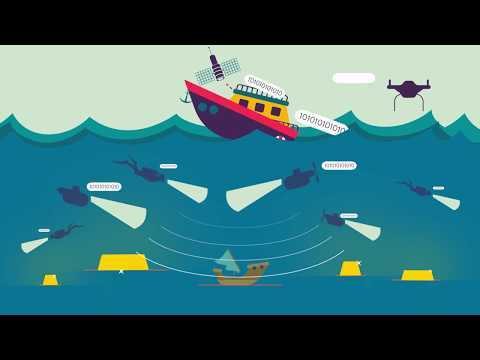 The same technologies powering search and rescue for shipwrecks and buried treasures can be used for finding other lost objects and perhaps solving some of our longest unsolved mysteries.Our open source decentralized apps will also provide individuals and enterprises with more cost effective and secure ways of distributing valuable assets. As a PO8 token holder you will be able to bid on recovered artifacts that are sold on our HOAP application. The Historical Open Auction Platform (HOAP) is a system PO8 will make open to the public, for the auctioning of historical artifacts. All assets on HOAP can be verified as authentic and belonging to the rightful owners. Transactions will be completed using PO8 or SIL tokens. The PO8 Historical Artifact Registry System (PHARS) creates a method to identify historical artifacts and certify their authenticity. It will serve as a decentralized registry of artifacts. PHARS permits government agencies, museums and organizations to register historic artifacts. PHARS will create a unique identification and decentralized registration sy stem, that lives in the blockchain indefinitely.